TIP 1: Rub on sore muscles after working out or doing some cardio work! TIP 2: Rub onto joints where you are experiencing arthritis like pain. 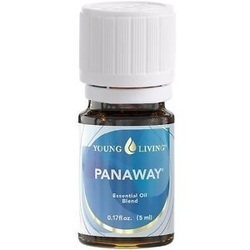 TIP 3: If you have children who are experiencing growing pains, dilute panaway with Young Living's V6 oil, or olive oil or other gentle oils like that and rub into the are that is bothering them. TIP 4: To prevent bruising after an injury, apply to that area. TIP 5: Rub into sciatic or back area to relieve discomfort. BONUS TIP: Do you deal with fibromyalgia? You might want to try using panaway, simply massage into the areas with fibromyalgia.